$150 is a package price is for RIWS members who sign up for all 6 classes before 1st class begins. Members who sign up after the 1st class has started, must first have permission from the instructor to sign up, and the class fee will be $30 per class. (The pkg price will no longer apply). $185 is a package price is for Non-members who sign up for all 6 classes before 1st class begins. Non-members who sign up after the 1st class has started, must first have permission from the instructor to sign up, and the class fee will be $35 per class. (The pkg price will no longer apply). Friday mornings from 10am - 1pm. Definition: Wet on wet painting is wet paint applied onto wet paint, so that the colors will spread into one another producing soft edges and blending. The purpose of this class is to teach a more free and loose style in watercolor. To allow water to express itself by using spraying. 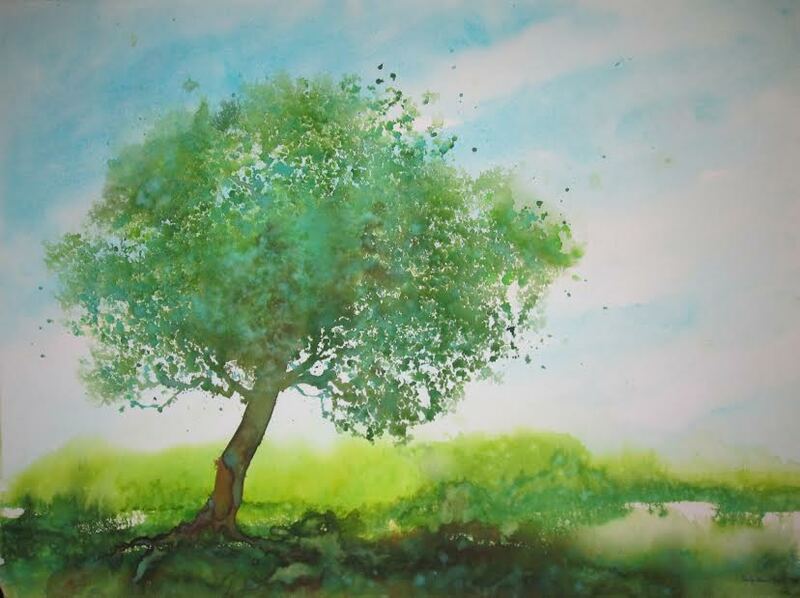 To drop pure pigments on wet paper and letting them mix freely.